The BSE Sensex is heating up. In just the last three days alone the benchmark index has gone up over 3%. In the last one month, the Sensex has gone up well over 5%, and is only a few percentage points away from its all-time high levels. What's causing this rally...and is it sustainable? As with any dramatic market changes, the current rally is fueled by optimism rather than any fundamental changes in the economy. Investors are betting on the Narendra Modi-led government to make a comeback and are pushing the indices upwards. However, there is nothing in the economy that suggests an improvement in the investment cycle. While inflation levels have eased, it is mainly on account of easing food prices, something that is subject to high volatility. Global and cyclical issues still persist, and inflation concerns are far from over. As such, consumption is likely to stay under pressure. This has made the large-cap rally highly vulnerable to a lot of factors including an adverse global trade environment, rising crude oil prices, and even unfavourable election results. Trying to predict the poll outcome in 2019 is an attempt to know the unknown. This is something, as you know, I refuse to do. Even if investors are able to predict correctly, it will not necessarily translate into higher returns. For one, the poll verdict could already be in the price. The bottom line is that while poll verdict cannot be ignored, global liquidity and other economic factors are also important. So, what should investors do in such a volatile scenario? I think it is best to go for a bottom up approach. Investors should place their bets only on companies that have strong fundamentals and are available at reasonable valuations. And the smallcap space is exactly where such value buys are likely to be found. While the BSE Sensex is within touching distance of its all-time high levels, the BSE Smallcap index is still trading more than 26% down from the highs seen in January 2018. To some extent, caution is justified. This is because the BSE Small Cap stocks are inherently riskier. The risks could stem from low liquidity, limited track record, higher borrowing costs, weak corporate governance, less transparency and less resilience to weak economic cycles as compared to large cap companies. However, there are stocks within this space that have been unfairly penalized because of over simplification of such risks. There are companies that score well on parameters like management quality, balance sheet quality and growth prospects. However, being in the small cap space that investors have been shying away from; such companies are less tracked and are available at attractive valuations. With strong fundamental analysis and risk filters, investors have the opportunity to make stellar returns with such companies. To conclude, instead of getting carried away by the Sensex rally which might be driven by speculations regarding elections outcome and hot money, investors should turn attention to the smallcap space for potential winners in the long run. I have been recommending attractive smallcaps to my Hidden Treasure subscribers in this correction. As I write this, I have 25 fundamentally strong smallcap stocks in the 'Buy' position to choose from. So, act now, and take advantage of the opportunity that is available in the best smallcap stocks today. PS: Small cap stocks have started to rally. Our small cap expert Richa Agarwal believes this is the time to buy before they run up. 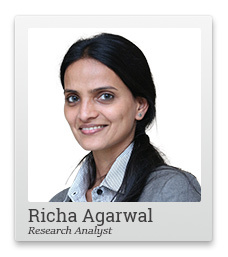 Get Richa's best small cap stocks now. Equitymaster requests your view! Post a comment on "Sensex Nearing All-Time Highs: Stocks to Buy in this Rally". Click here!